Tumblr is both a blogging platform and a social network. Like other popular social networks that allow you to tag other users in your posts (such as Facebook, Twitter, and Instagram), you can learn how to tag someone on Tumblr in posts that you create or reblog from other Tumblr users. Create a new post. It doesn't matter what kind of post you create (text, photo, quote, link, chat, audio or video) because you can tag someone wherever you can type text. Alternatively, you can also click or tap the reblog button on another user's post to prepare to repost it to your own blog. Tap or click inside the specific text area in the post editor where you want to type your tag. This might be the body text of a post, the caption of a photo post or the comment area of reblogged post. Type the "@" symbol followed by the first letters of the username of the Tumblr user you want to tag. Tumblr will automatically generate a menu with suggested usernames as you type. When it appears, tap or click the user's username that you want to tag. The username will be added to the post with the "@" symbol in front of it. It will also be underlined to distinguish it from the rest of the text as a clickable hyperlink. Make whatever other edits or additions to your post as needed and then publish, reblog, schedule it or queue it up to auto-publish later. View your published post within the Tumblr Dashboard or on your blog URL (YourUsername.Tumblr.com) to see the tagged user in your post. From the Dashboard, a preview of the tagged user's blog will appear when you hover over the tag with your cursor or will open up a larger preview of their blog when clicked. 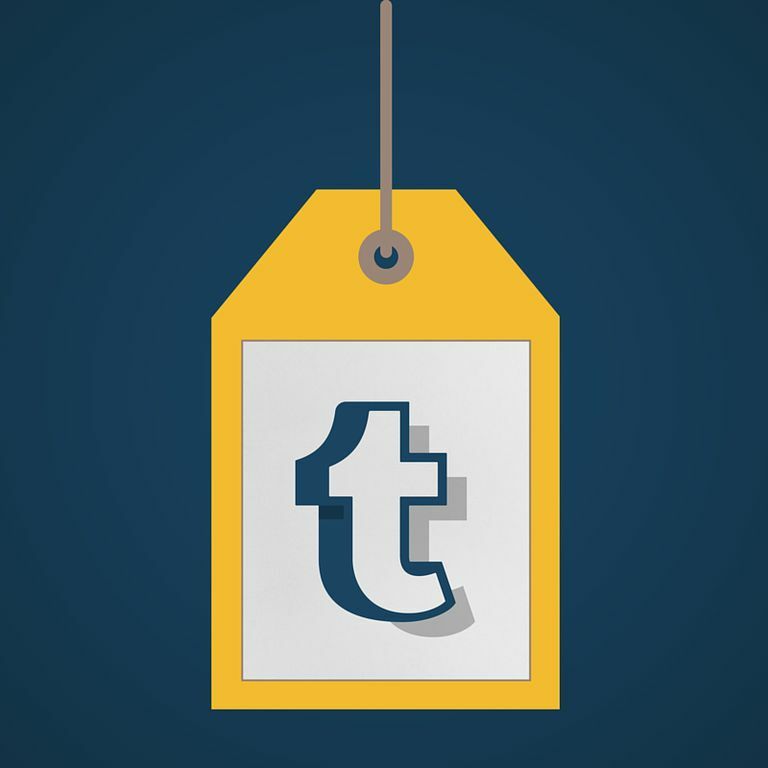 From the web, clicking on the tag will take you directly to that user's Tumblr blog. When you tag someone on Tumblr in a post that you publish, the tagged user will receive a notification for it. This is helpful to ensure that the user actually knows to check out your post in case they miss it while scrolling through their Dashboard feed. Likewise, you'll also receive notifications if any other users decide to tag you in their posts. It doesn't appear that Tumblr places any restriction on who you can and can't tag in your posts at the moment. In other words, you don't have to be following a specific user nor do they have to be following you to be able to effectively tag them in a post. What Tumblr does do, however, is list suggested users that you're already following first according to the initial letters you begin typing next to that "@" symbol. So, for example, if you want to tag a user with the username SuperstarGiraffe34567, but you don't currently follow that user, Tumblr won't show you that username right away as you start typing the @Sup... portion. If you're following a couple of users like SupDawgBro007 and Supermans_Pizza_Rolls, then Tumblr will suggest those first as you type the letters because they match several of the first initial letters that you need to type for SuperstarGiraffe34567. Tagging people pretty much anywhere in the content of a post seems to work just fine – except when you want to add a reply to a published post. Some users have replies enabled on their posts so followers can tap or click a speech bubble icon at the bottom of the post to add a quick reply. User tagging just doesn't work for this particular feature. Many Tumblr blogs also accept "Asks" where followers can ask questions as themselves or anonymously. You can't tag a user when submitting an Ask. If you receive an Ask, however, you can reply to it and add a tagged user with your answer, then publish it to your blog if you want. Similarly, blogs that have submission pages accept posts that other users submit to be published. Although there's a Tumblr editor on this page for users to craft their submission, you will not be able to tag users here either. Lastly, there's your Tumblr message inbox. It doesn't look like you can tag people in messages, which makes sense actually, because messages are meant to be private.